A clearing in the woods hosts a series of displaced persons fleeing an unnamed disaster. 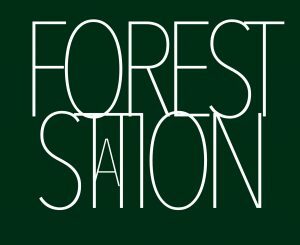 Structured as a series of short stories or vignettes, FOREST STATION follows not a character but a place, a clearing in the woods, as a stream of people all headed in the same direction take a few moments to rest on their various journeys and play out quiet scenes of interpersonal drama. At turns meditative, violent, and inspirational, the glimpses given into these lives in transition highlight shared human vocabularies of loss and recovery and put an intense focus on the details of behavior to consider the ways we treat each other when in crisis. And as the stories go on and start to take a toll on the architecture and life of the clearing, an outside presence begins to make itself known. Mark William Lindberg, author of QUEER ON A BENCH and 81 NIGHTMARES queers the end of the world with this intricate work of meditative post-apocalyptica.